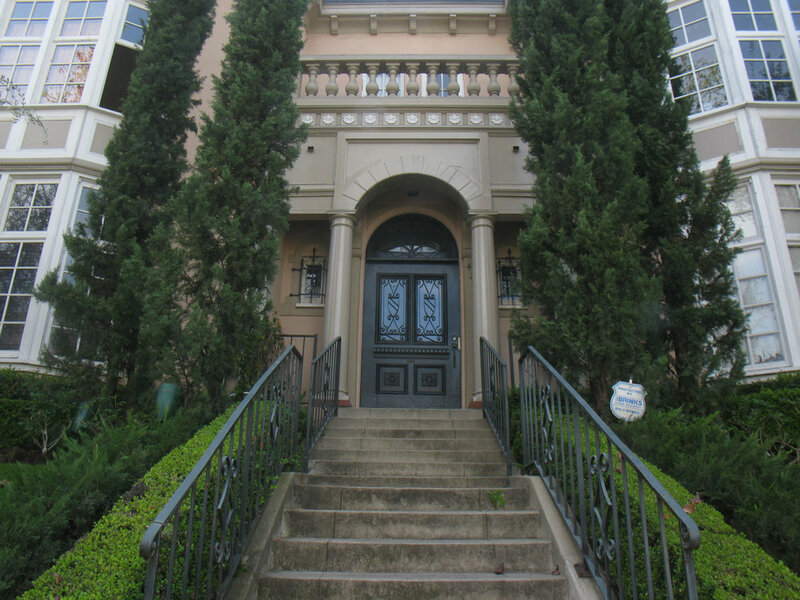 The historic 1931 Chateau Sycamore, 421 North Sycamore Ave, Hancock Park. Upper-back west-facing view. Original Philippine mahogany wood paneled living room with beams and a bay window. 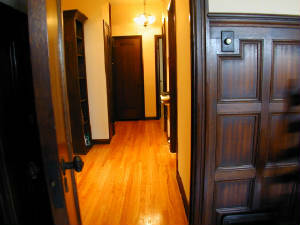 Mahogany wood details throughout. 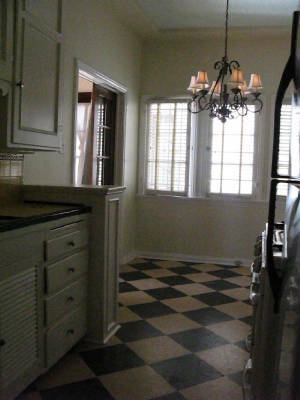 Peg n’Groove original hardwood floors, high ceilings and great architectural details. Small dining area off living room, updated NY galley-style kitchen with top stainless appliances. Original deco-tiled bathroom with separate stall shower and tub, cedar lined closets, laundry on premises and parking for one car in a garage space. Available @ $2,850 with 1 garaged parking spot. Note: photos are from this and near identical mirror imaged unit at the same property. Some details colors and materials may differ, sizes and dates are estimated, verify. Pet policy, 2 pets max, apartment trained, quiet, well mannered dogs are considered, 40# max weight at maturity, approved breeds only, please verify. Indoor cats are usually OK.